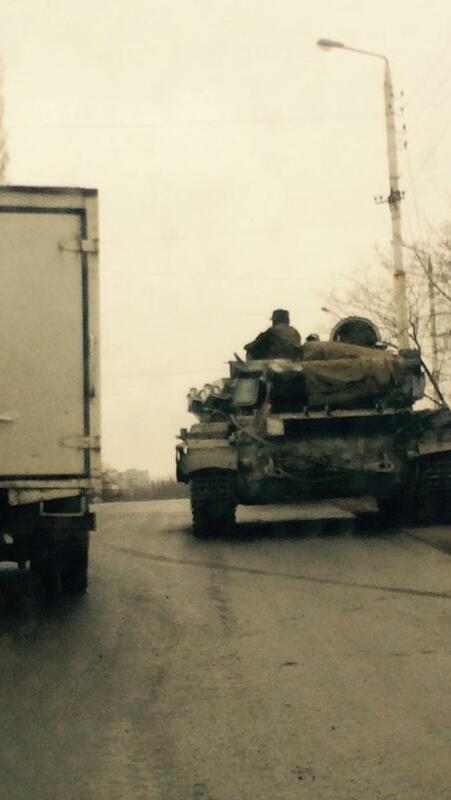 Russian military convoy moving to Stakhanov through Bryanka. Photos. Yesterday evening another Russian military convoy has been seen in the center of Bryanka moving to Stakhanov city direction. 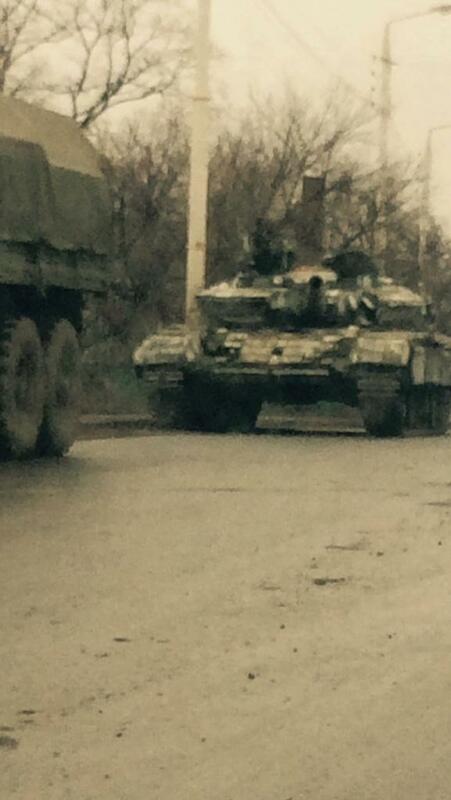 There were at least 2 tanks, 1 self-propelled artillery and trucks with ammo and soldiers. 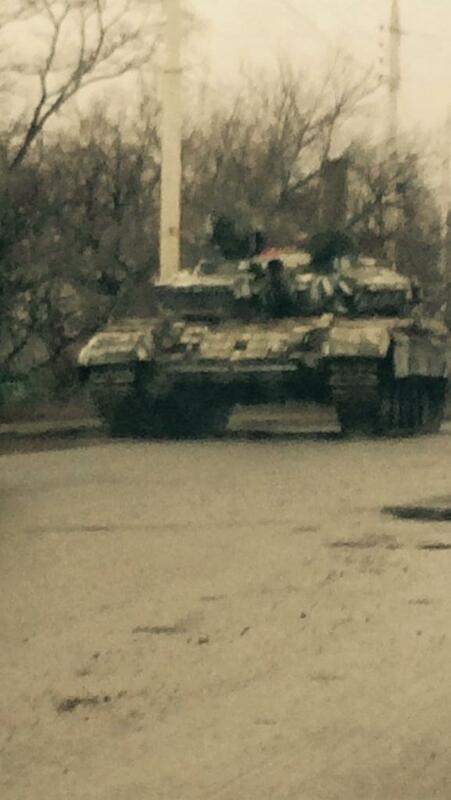 Bryanka is used as a base for Russian armored vehicles. 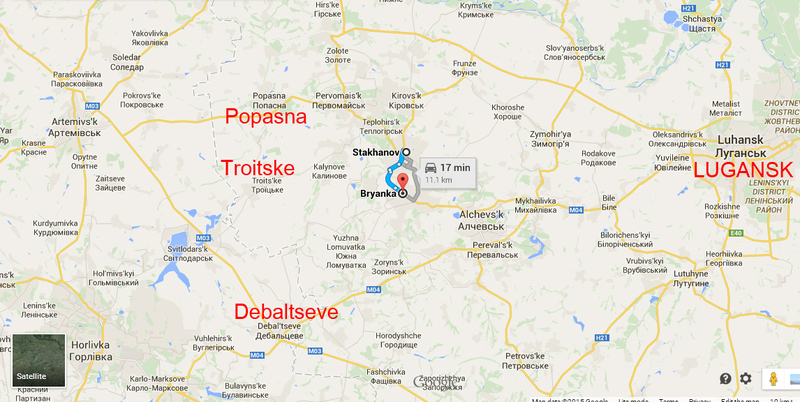 It is strategic location for attacks on Popasna and Troitske still controlled by Ukrainian Army. 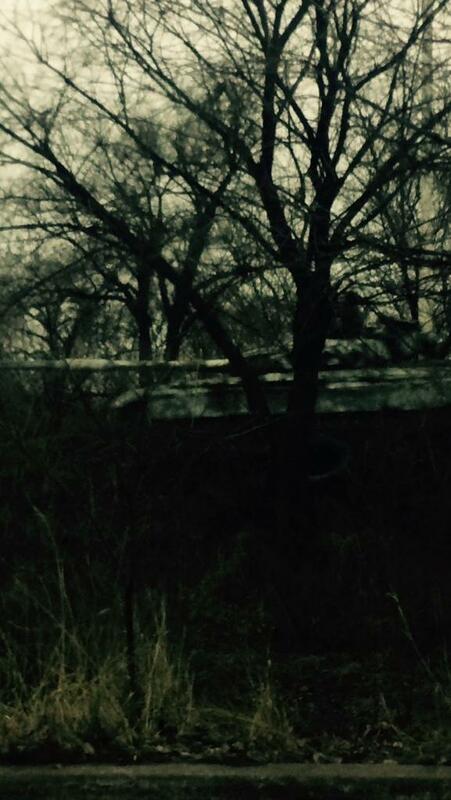 The city of Debaltseve was also shelled by MRLS from Bryanka before terrorists took control over that strategic location after cease-fire agreement signed in Minsk.